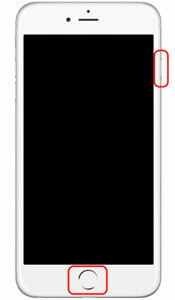 The ‘white screen with apple logo’, also known as the “iPhone White Screen of Death (WSoD)” is basically an operating system error that causes the device to malfunction and display a white screen. 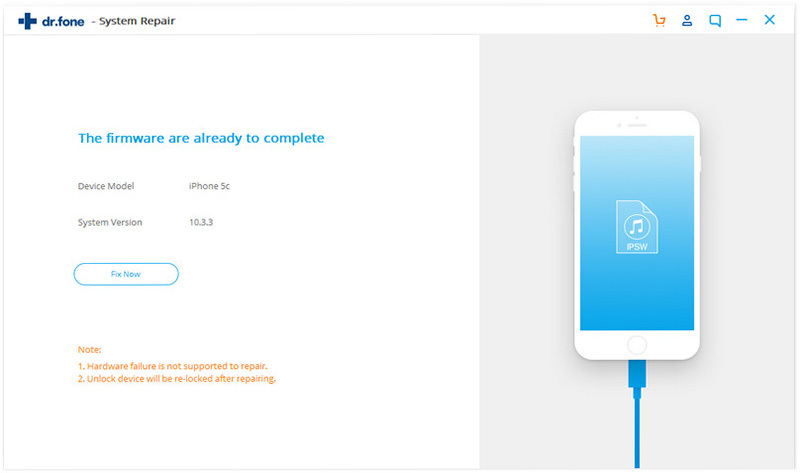 If an iPhone is stuck on white screen, it may result from various causes such as a hardware component failure, failure in updating the Operating System or severe dropping of phone. Here are a few recovery methods you can try by yourself to put an end on iPhone white screen of death problem. iSkysoft Toolbox - iOS System Recovery is a powerful tool that helps you to recover your iPhone stuck on white screen. It is a simple and user-friendly tool having no risk and compilations. It is specially designed to run on both Mac and Windows. Moreover, this tool supports almost all iOS devices and even the latest operating iOS firmware too. With the highest success rate in the market, the tool not only can repair iPhone stuck on white screen with apple logo problem but also fixes almost all your iOS problems. The tool with its integrated powerful features is capable of repairing both common and complicated iOS issues. One of the prominent issues being iPhone white screen of death which displays only the Apple Logo. There is no risk of data loss while mending your phone. The tool comes with full compatibility for the latest iOS version, i.e. iOS 11. 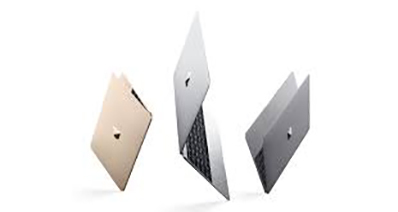 It is the safest way to fix white screen with apple logo with iSkysoft Toolbox – iOS System Recovery using either Mac or Windows Operating System. Almost all the iOS device issues such as iPhones, iPads or iPod Touch are supported by iSkysoft Toolbox. Step 1: The iPhone and the computer must first be connected using a USB cable. 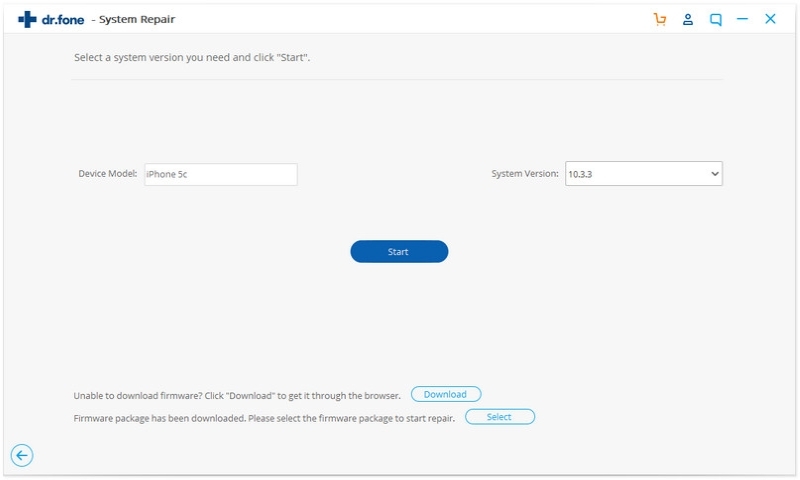 Next you need to install and launch the iSkysoft Toolbox – iOS System Recovery. You will then see the main interface from which you have to click on ‘System Recovery’ tab. 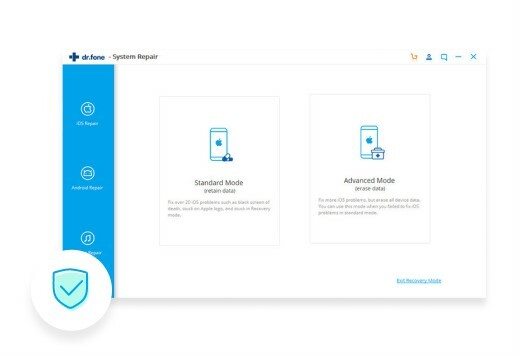 The iSkysoft Toolbox software will detect your device automatically. 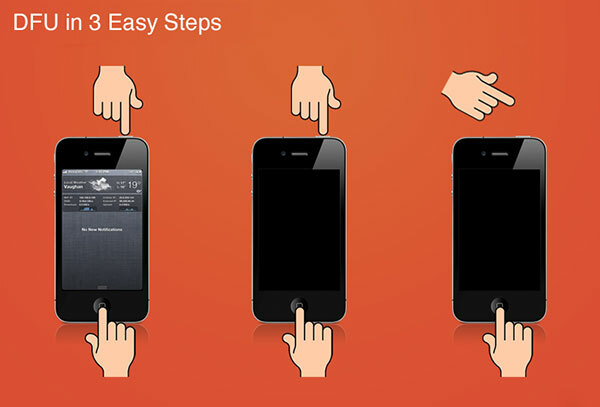 All you need to do is initiate the process by tapping the ‘Start’ button from the following screen. 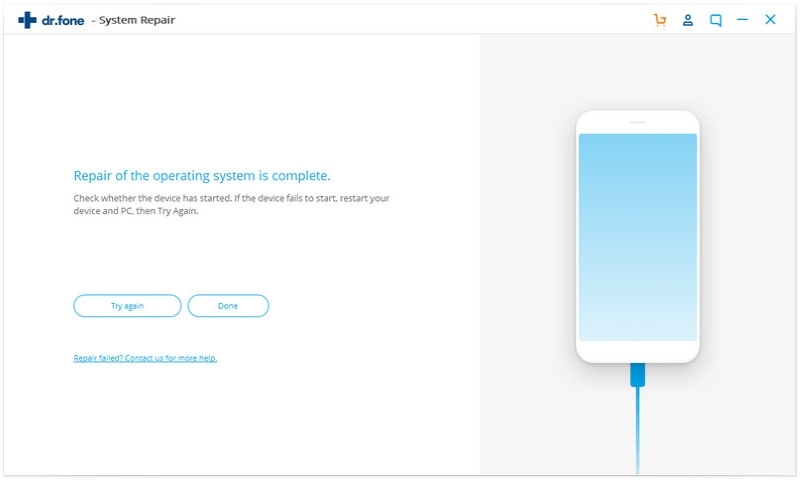 Step 2: The next screen will load up the information about your iOS device and its model along with the latest compatible iOS firmware available for it. You are then required to click the ‘Download’ button. The software will then start downloading the suitable firmware for your device so as to fix your problem. Once it is downloaded, the tool will start to fix your iPhone stuck on white screen automatically. Step 3: It only takes seconds to finish all the process. When the iOS system has been fixed, the software will display the notification like this, which means your iPhone has been back to normail without losing any data successfully! Just download iSkysoft Toolbox and try to fix iPhone stuck on white screen with Apple logo yourself! Another prominent method to fix your glitch is to forcefully reboot your phone. This method is, however, different for different versions of iPhones. Below we have mentioned all the methods for different models. Push ‘Power’ + ‘Home’ buttons simultaneously. When you see your iPhone screen go black and then the Apple logo appearing on the screen you may release the buttons. The users of these two devices have to hold down the ‘Power’ and ‘Volume Down’ button altogether for no less than 10 seconds and release it when the Apple logo appears again on your screen. These models have different steps to force reboot the iPhone. Press the ‘Volume Up’ button and release it immediately. Next, repeat the step with the ‘Volume Down’ button. 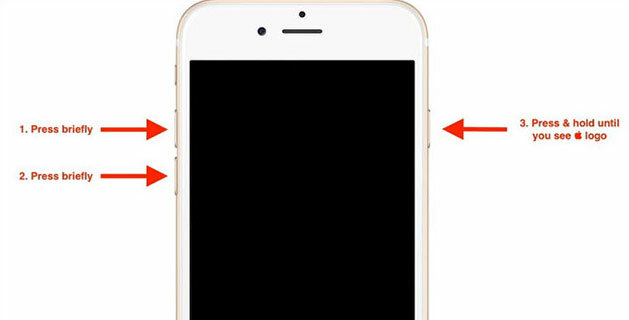 Having done this, you need to press the ‘Power’ button at the right side of your iPhone until the Apple Logo is displayed again on your screen. The strongest form of reset is via DFU mode that stands for “Default Firmware Update”. 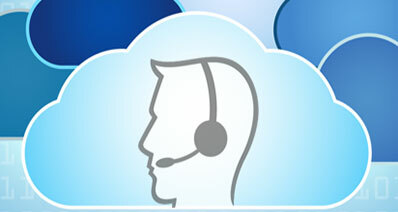 Besides being a strong solution, it comes with the shortcoming of completely erasing your data. 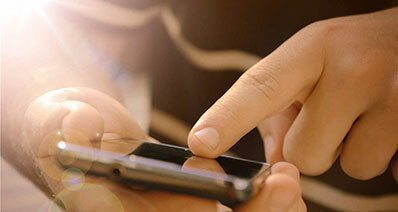 Your entire phone will be restored and your phone will be as good as new after the complete process. Hold ‘Home’ + ‘Sleep/Wake’ buttons for around 10 seconds. Release only the ‘Sleep/Wake’ button and keep holding ‘Home’. You will see message saying “iTunes has detected an iPhone in recovery mode”. It is now that you should release ‘Home’ button. The screen will appear completely black but your device will still be detected in iTunes. In case it does not, you have to repeat the process again and retry booting your device in DFU mode. After the successful completion of the above steps, you can then restore your iPhone via the iTunes window. A useful way to fix iPhone white screen of death is by forcing an update to iOS via the Recovery Mode. This is beneficial because it reinstalls iOS without modifying any data. 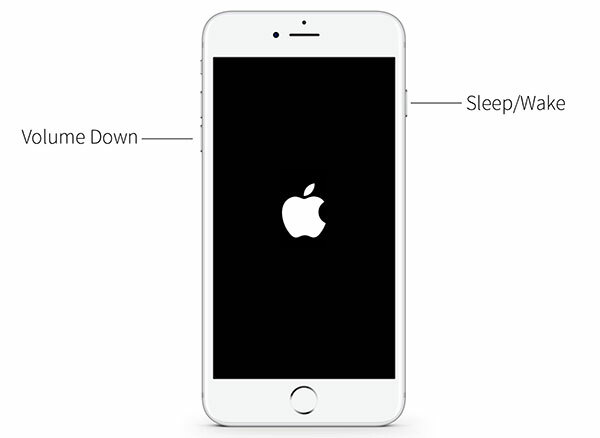 For the iPhone 7 and its upper versions press the ‘Power and Volume Down’ button simultaneously. Release it when you see an alert message in iTunes saying “an iPhone in recovery mode has been detected”. For the older models press ‘Power + Home’ at the same time and release it when the alert message in iTunes crop up saying “an iPhone in recovery mode has been detected”. Lastly, choose “Update” in the iTunes screen and confirm your actions. 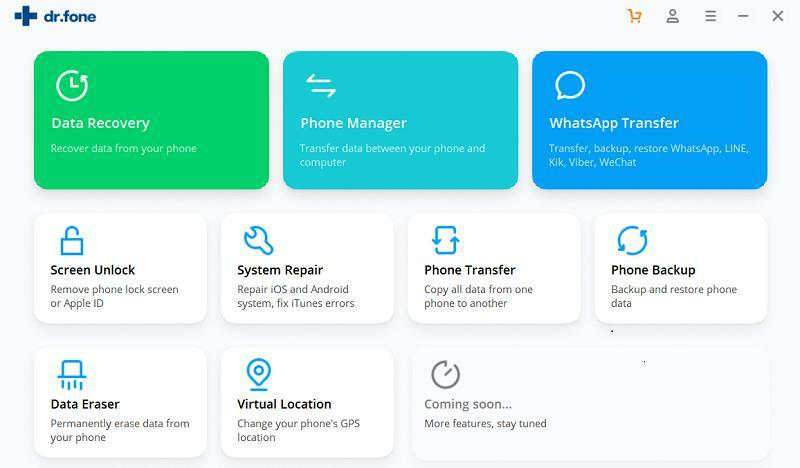 After you have tried out all the above-mentioned methods and still cannot a find a solution to your iPhone stuck on white screen problem might be an intense and more probably a hardware one. The only solution left now would be to visit an Apple customer service center and get your iPhone repaired.